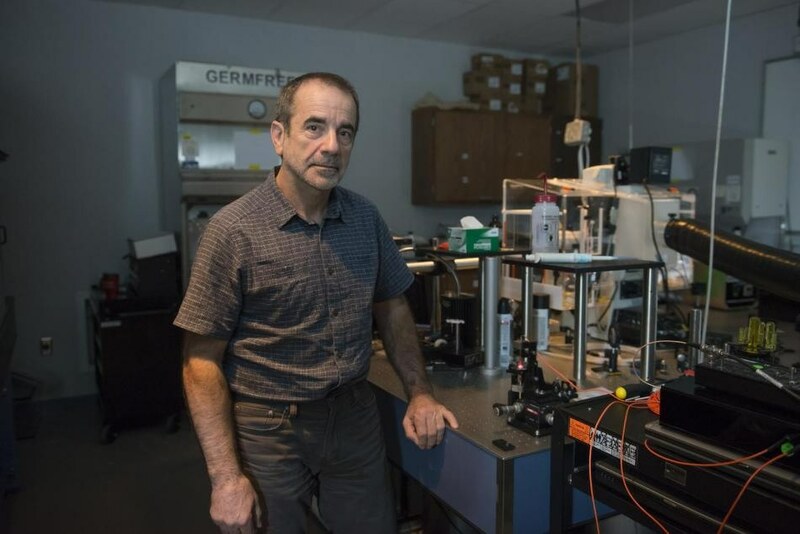 A new and improved way for detecting interactions between light and matter at the atomic level has been developed by Researchers from the University of Central Florida. This discovery could lead to improvements in the emerging field of two-dimensional materials and also new techniques to control light. Spectrometry tools are generally used by Scientists to study the manner in which light interacts with a solid, liquid or gas. That method is described as “inelastic,” which means that the light’s energy is adjusted by its contact with matter. A team headed by Professor Aristide Dogariu of UCF’s CREOL, The College of Optics & Photonics, has pioneered a way to detect such an interaction on a single layer of atoms – a majorly difficult task due to the atom’s incredibly small size – by employing a method that is “elastic.” That means the light's energy remains unchanged. Our experiment establishes that, even at atomic levels, a statistical optics-based measurement has practical capabilities unrivaled by conventional approaches. This month’s issue of Optica, the academic journal of The Optical Society, reported that this is indeed the very first demonstration of an elastic scattering, near-field experiment carried out on a single layer of atoms. The Researchers demonstrate this unique and basic phenomenon using graphene, a two-dimensional, crystalline material. Their new technique dealt with random illumination of the atomic monolayer from all potential directions, followed by examining how miniscule defects in the atomic layer influence the statistical properties of the input light. With this new method, the Scientists were provided with not only a robust and simple way to examine structural properties of 2D materials but also with new methods that will help control the complex properties of optical radiation at sub-wavelength scales. The physics community has developed immense interest in this new method, which according to the team is superior to standard ones. This news is also capable of leading to other advances. Graphene and other two-dimensional materials have properties that Researchers are trying to leverage for use in display screens, batteries, capacitors, solar cells and more. However, their effectiveness can be limited by impurities and identifying those defects needs sophisticated microscopy techniques that are at times impractical. A much improved technique for discovering those defects, a potentially important technique for industry, has been produced by Dogariu’s research. The discovery that a single layer of atoms alters properties of light and other electromagnetic radiation influences the controlling light at sub-wavelength scales in photonic devices such as photovoltaic cells and LEDs. The Research team was also made up of Roxana Rezvani Naraghi of UCF’s College of Optics & Photonics and Department of Physics; Luiz Gustavo Cancado, of UCF’s College of Optics & Photonics and the Federal University of Minas Gerais in Brazil; and Felix Salazar-Bloise of Polytechnic University of Madrid in Spain.